Dr. Mamdouh El Damaty, Minister of Antiquities, announced today the discovery of three Middle Kingdom steles bear important inscriptions. The discovery is a result of the American-Egyptian expedition led by Dr. Kate Liszka and Bryan Kraemer in Wadi El-Hudi area. Wadi El-Hudi is an area 35km southeast of Aswan that is made up of many archaeological sites, consisting of fortified settlements, amethyst mines, and rock inscriptions. 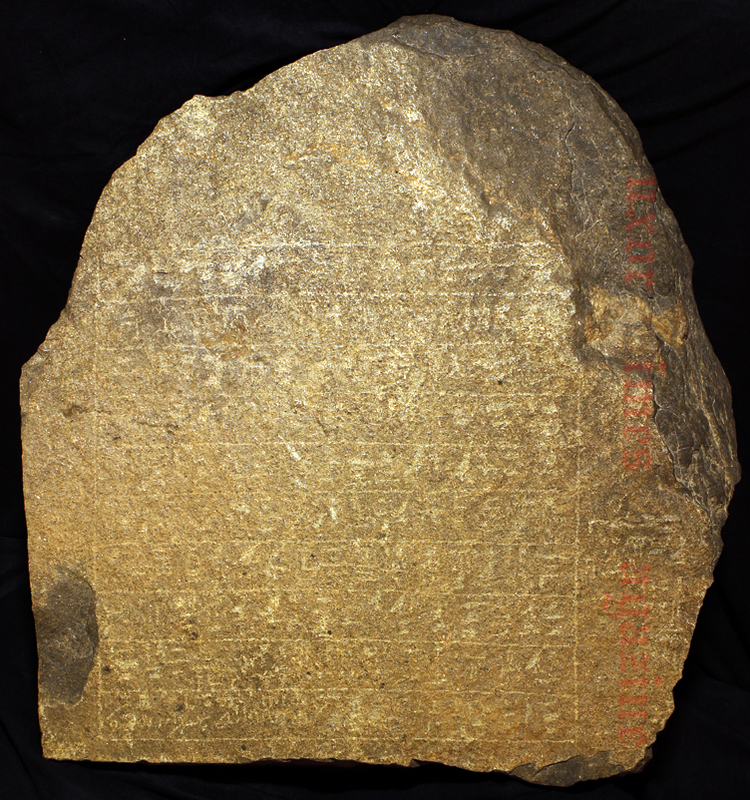 Egyptians mined this region during the Middle Kingdom and the Roman period. 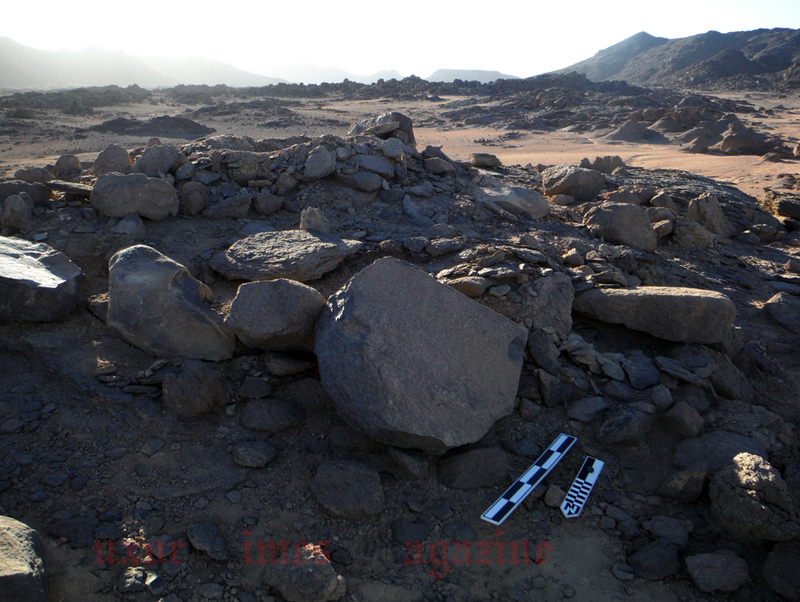 The state of preservation of the settlement areas is astonishing; the distribution of artifacts on the surface allows for a reconstruction of the various activities that took place at Wadi el-Hudi over three-thousand years ago. The area was first discovered in 1917 and has been intermittently studied by geologists and archaeologists since. In the 1940’s Ahmed Fakhry conducted a survey of the area, where he identified 14 archaeological sites and recorded over 100 inscriptions. Ahmed Fakhy identified the link to Pharaoh Mentuhotep IV of the 11th Dynasty. In the 1990s the sites were also visited by Ian Shaw, Robert Jameson, Rosemarie Klemm and Dietrich Klemm as part of large studies of Egyptian mining operations. The Wadi el-Hudi Expedition was launched in May of 2014 to continue studying the area and to yield answers to questions of settlement planning, organization of state-sponsored projects, the mechanics of semiprecious stone mining, interactions between Nubians and Egyptians, literacy among a soldiering class, and much more. Since the beginning of their work, the expedition has identified new, unknown archaeological sites and a dozen more inscriptions that were previously unpublished. 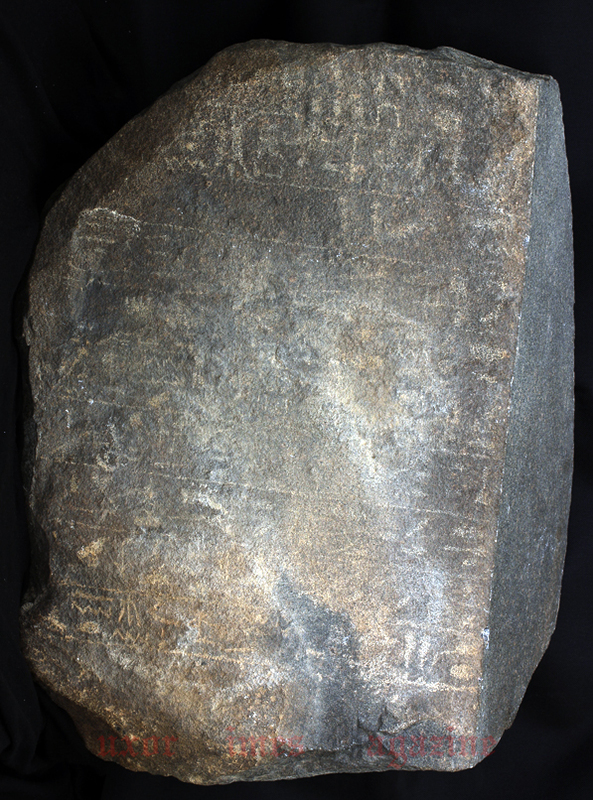 Dr. Mamdouh El Damaty said that the inscriptions on the steles suggest its link to a fortified settlement. Even though many of the inscriptions have faded with time by the expedition is using RTI technology (Reflectance Transformation Imagine) which helps to identify more of the less visible inscriptions. 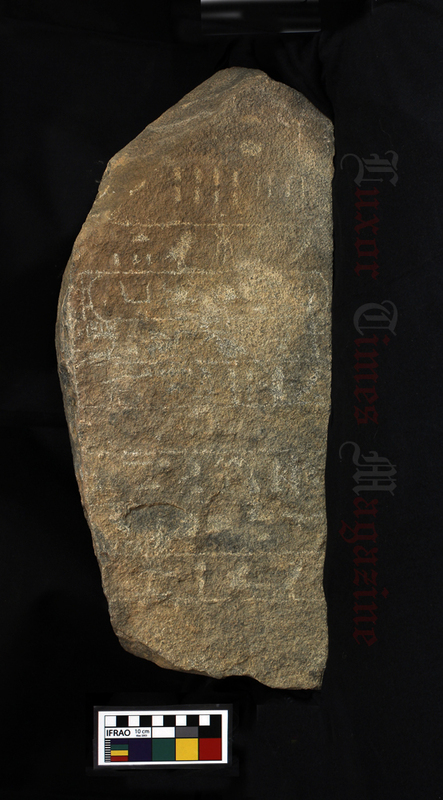 “Two of the discovered steles mentioned the year 28th of Senusret I’s reign as well as information on the expeditions were sent to the site.” Dr. Afifi added. The expedition is sponsored by Princeton University.